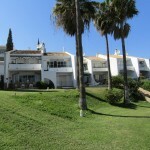 Key Estates Property is your one stop shop for property on the Spanish Costa del Sol. No matter if you are looking for a bargain apartment in Southern Spain or a sophisticated Villa in Marbella - Key Estates will help you finding the right property. Most important we actually listen to you and understand your needs! When you contact us we will listen to you and from that point on our objective is to achieve your dream. When investing in an apartment or a villa in Spain, everything we do is designed with your requirements in mind. Key Estates will hold your hand through every step of the buying process until you have the key to your dreams in hand. Most important, if you need any assistance in the days, weeks even years after your purchase, Key Estates are only ever a phone call away .